Hello everyone! How has your Valentine's preparation been? Are you still thinking of what beauty products to make? You could do a flash sale with a small batch of handmade Valentine's gifts..sounds good right? We have the perfect recipe for you. 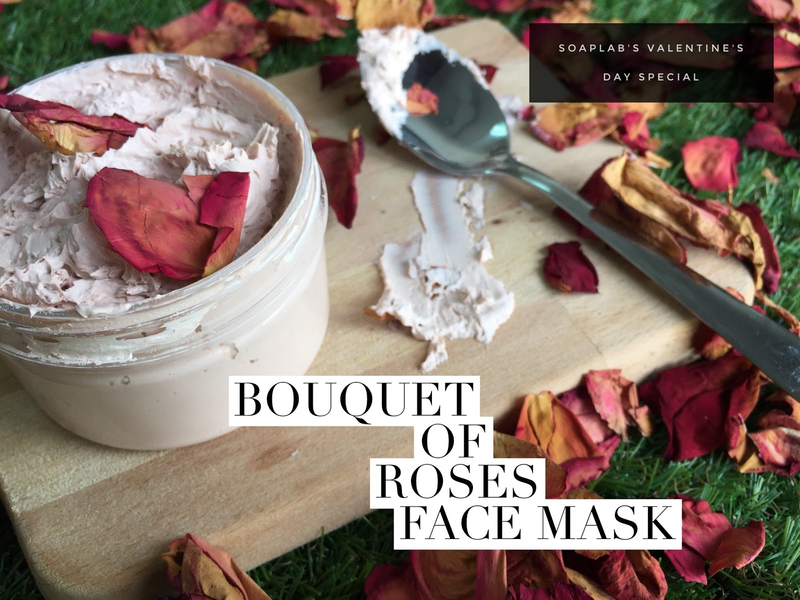 Try out this Face Mask inspired by roses. We use two types of clay here. First French Pink Rose Clay that gently exfoliates and cleanses so you'll have baby smooth skin. Second, kaolin clay to deep cleanse your skin and remove all the impurities which hide deep inside! Double cleansing action with all natural ingredients. How great is that? So that this mask doesn't dry the skin, we use rose hip oil and avocado oil. They are both great moisturisers, and they have A LOT of anti ageing properties. This recipe was tried & tested and they (our staff) can't say enough good things about this mask. Your customers will definitely keep coming back for more!